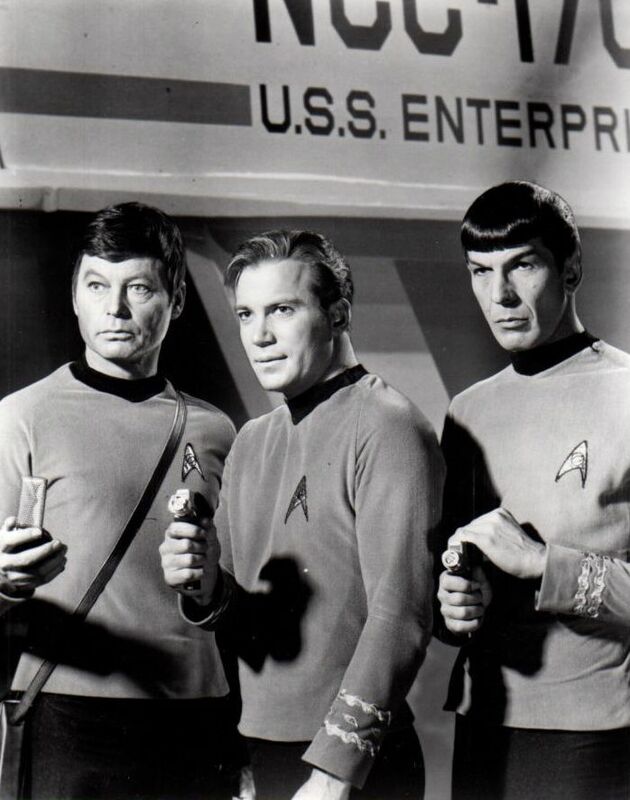 Star Trek: The Original Series (formerly called just Star Trek) is the first Star Trek series. 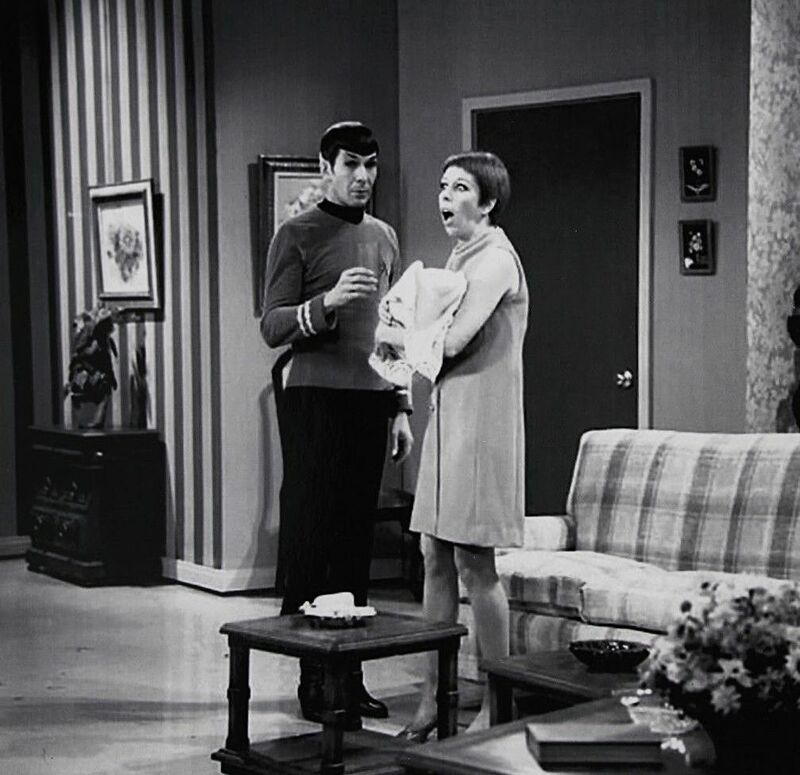 The first episode of the show aired on 6 September 1966 on CTV in Canada, followed by a 8 September 1966 airing on NBC in America. 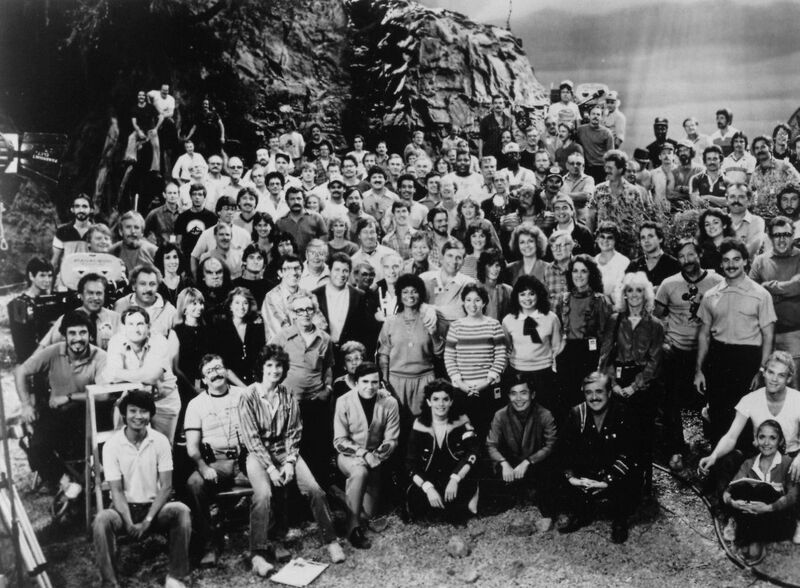 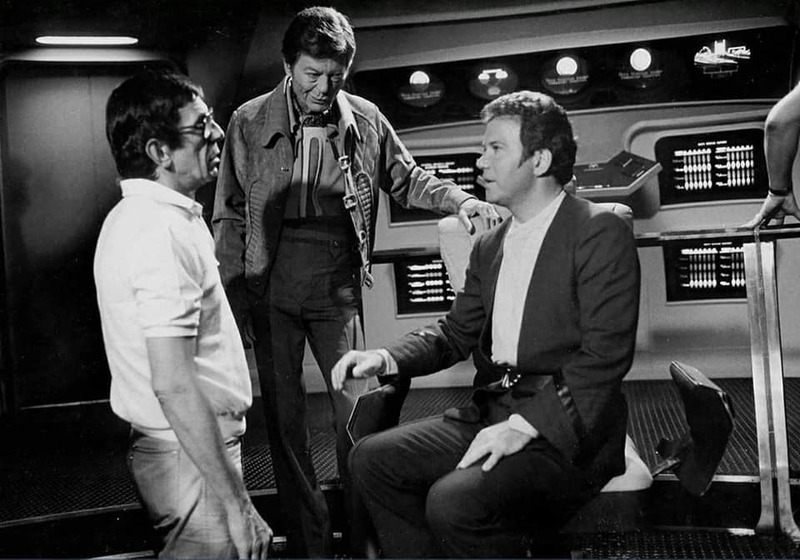 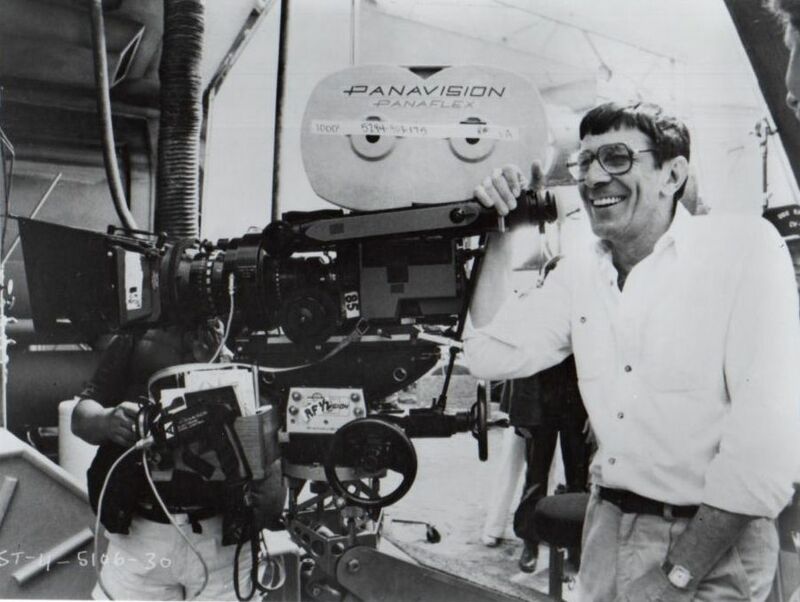 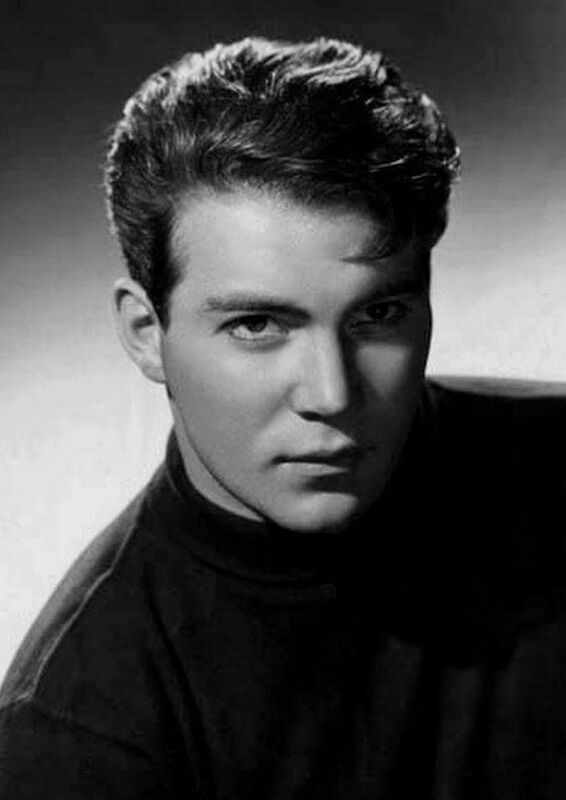 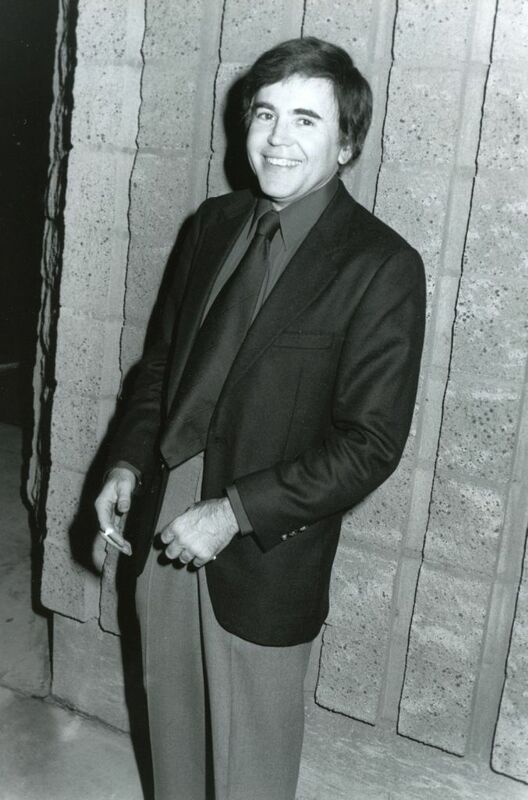 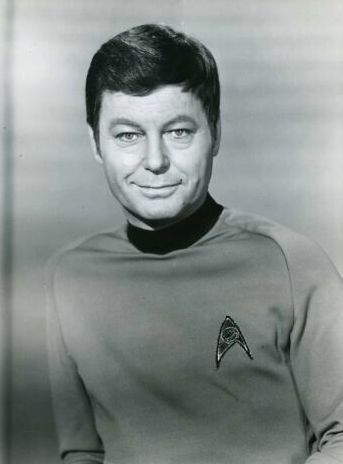 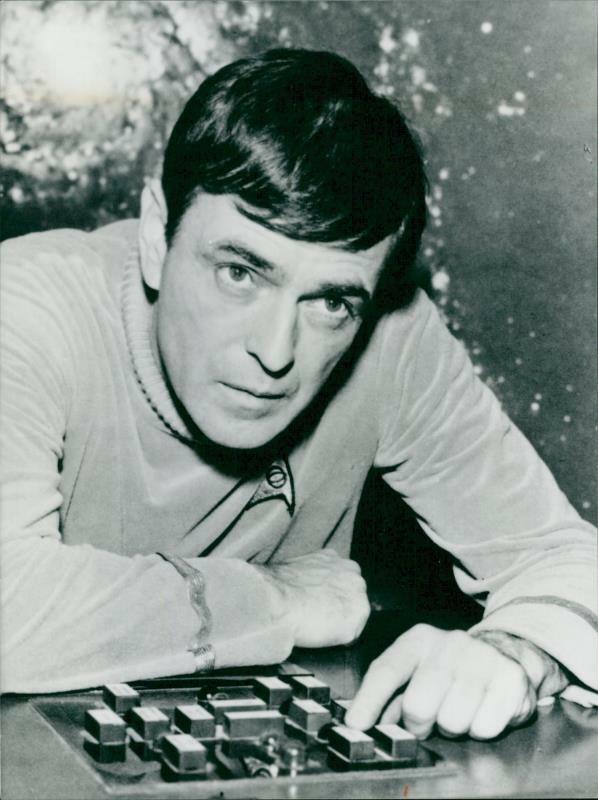 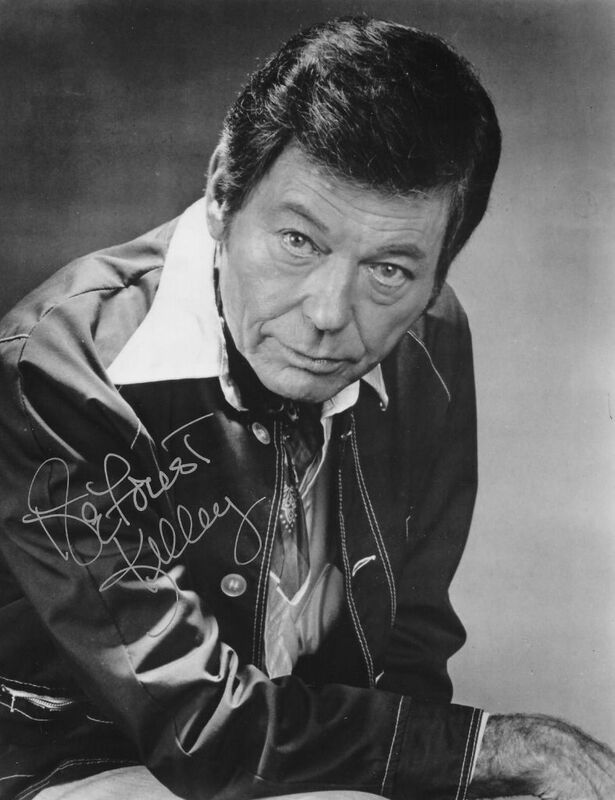 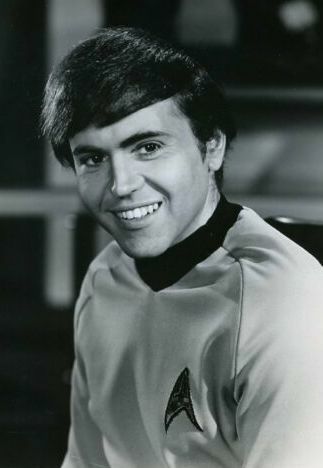 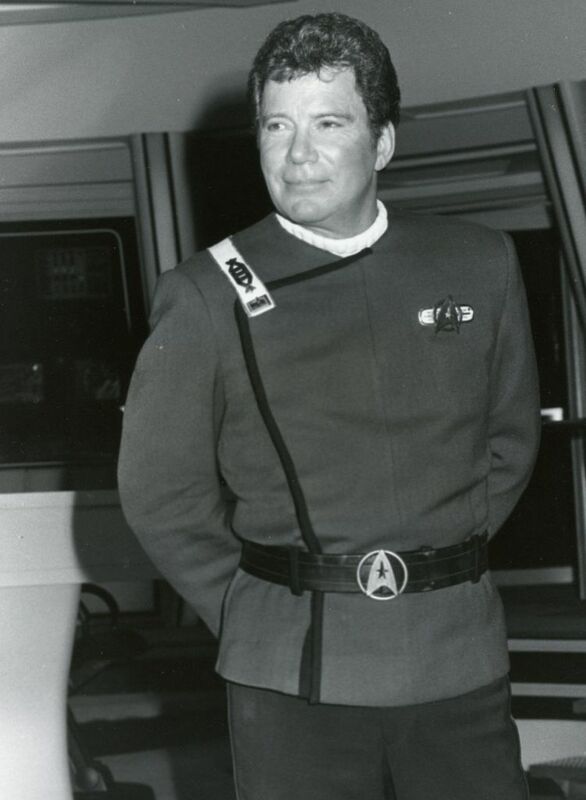 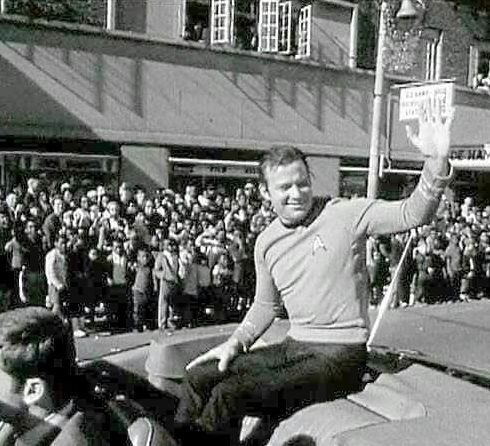 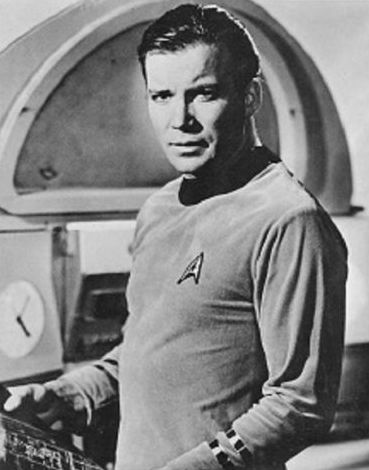 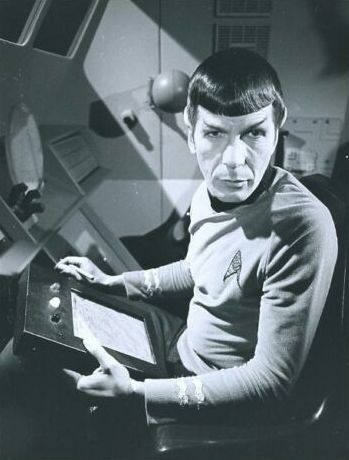 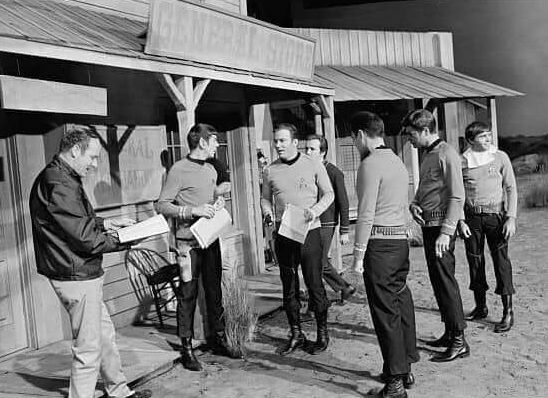 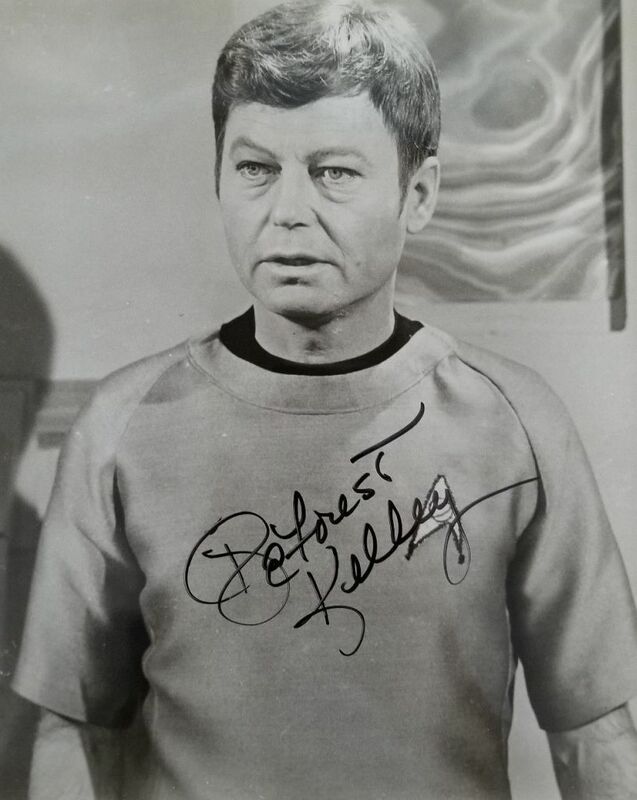 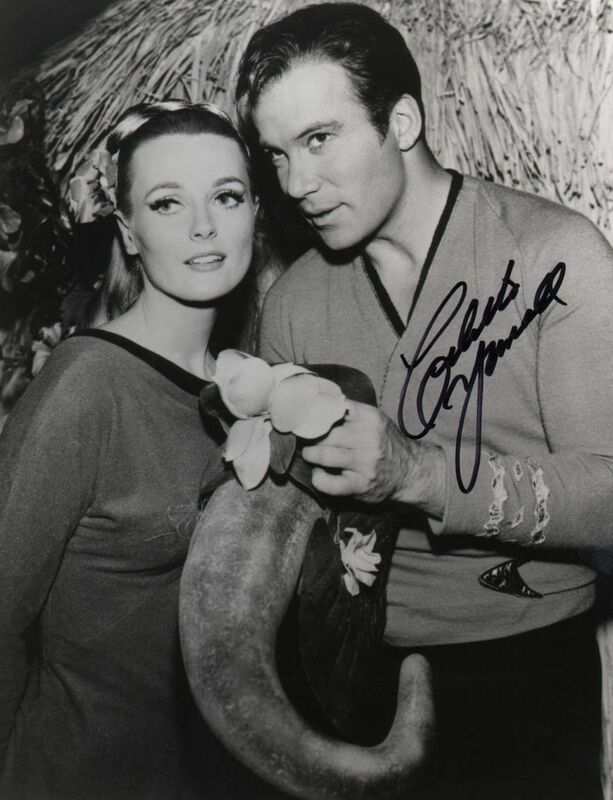 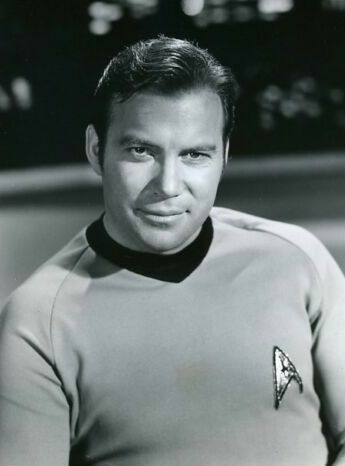 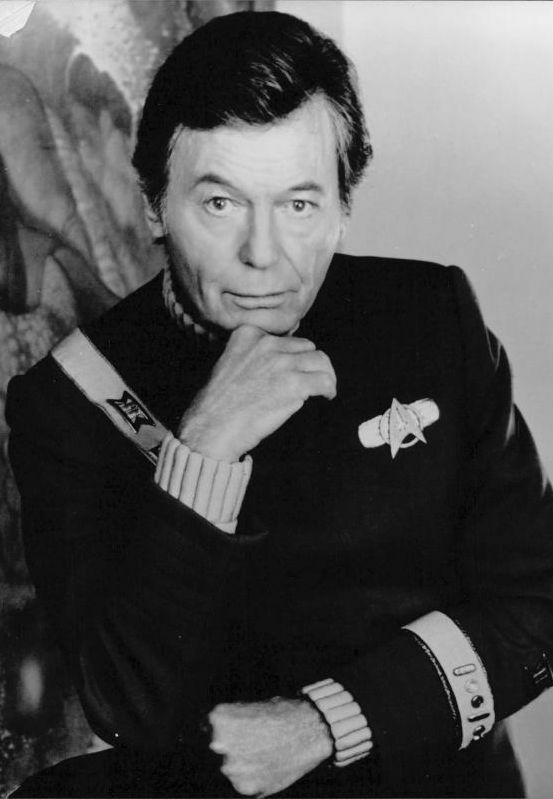 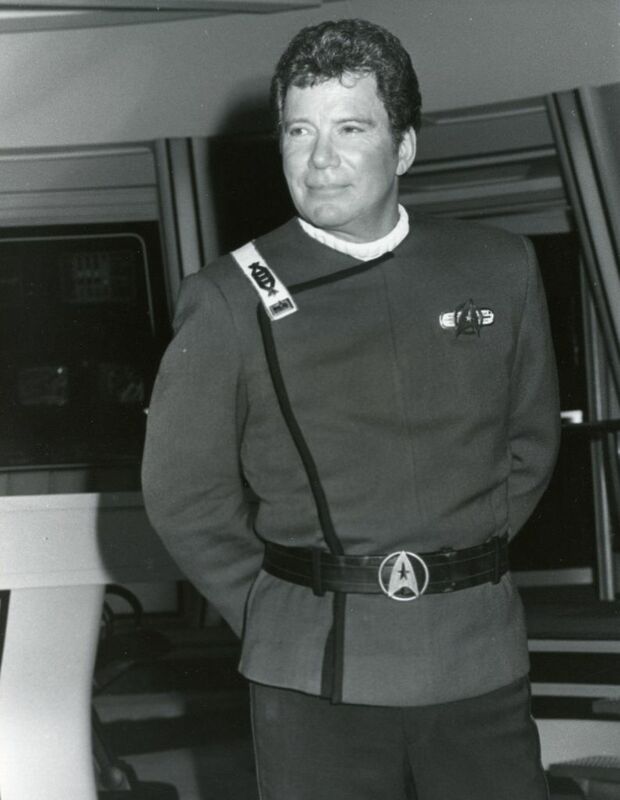 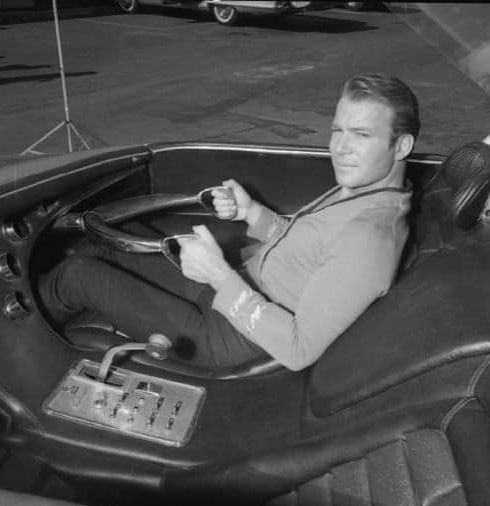 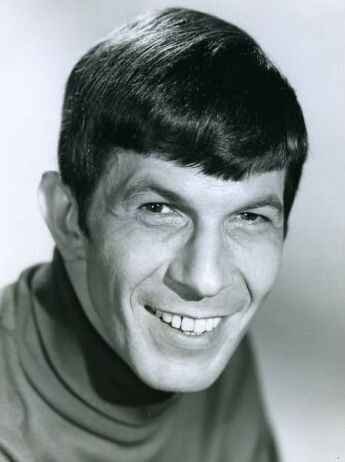 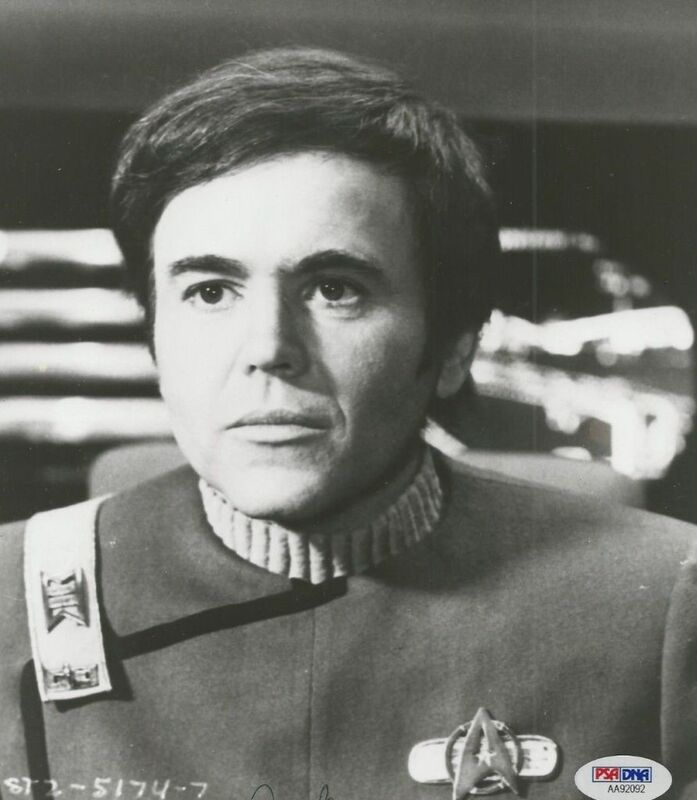 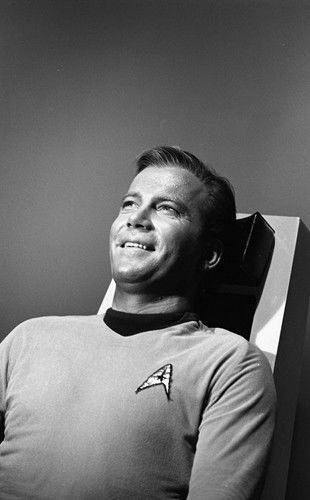 The show was created by Gene Roddenberry as a "Wagon Train to the Stars". 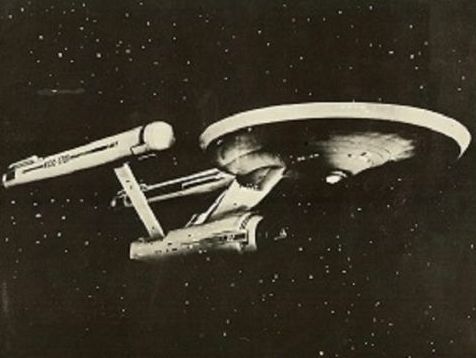 Star Trek was set in the 23rd century and featured the voyages of the starship Enterprise. 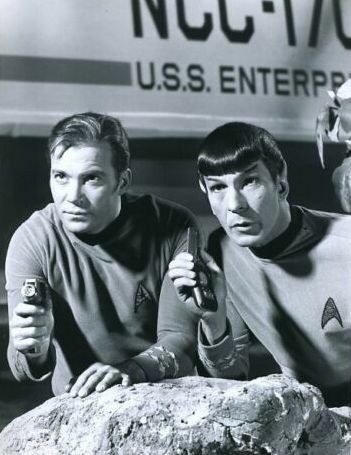 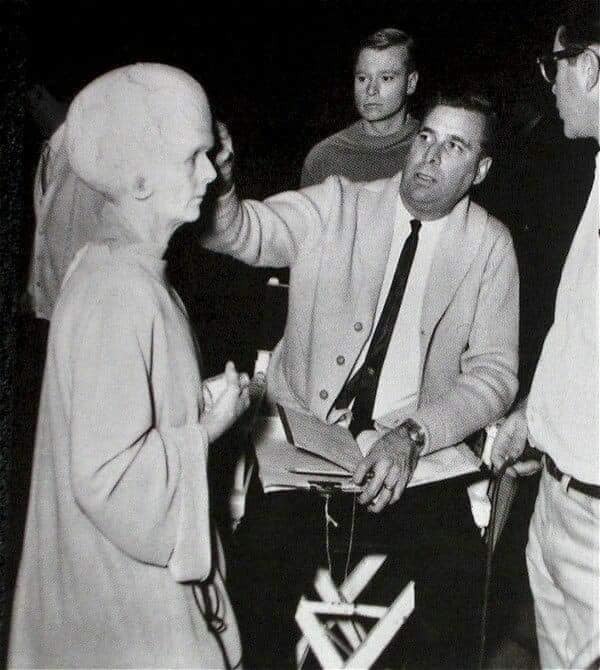 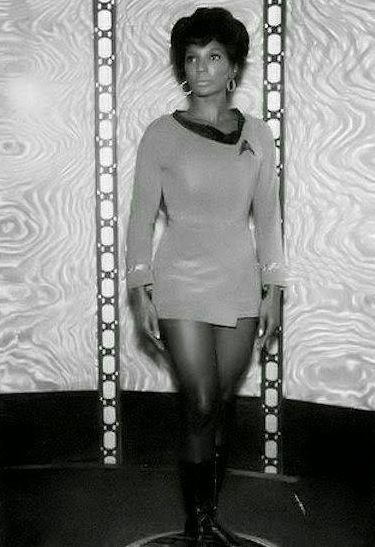 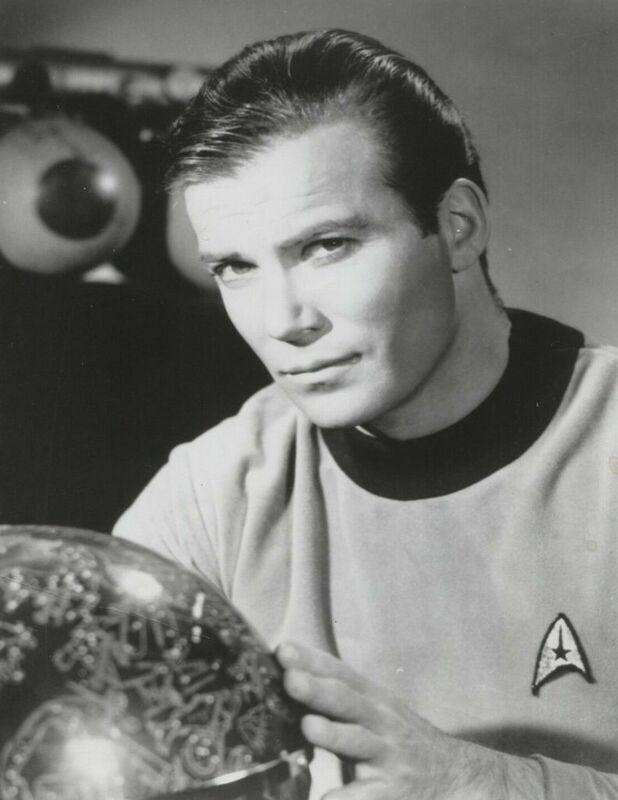 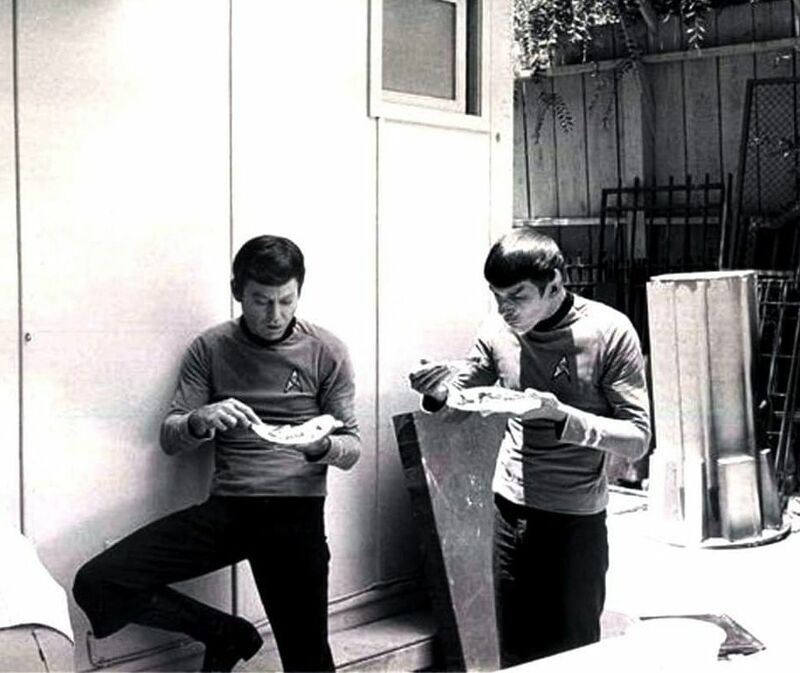 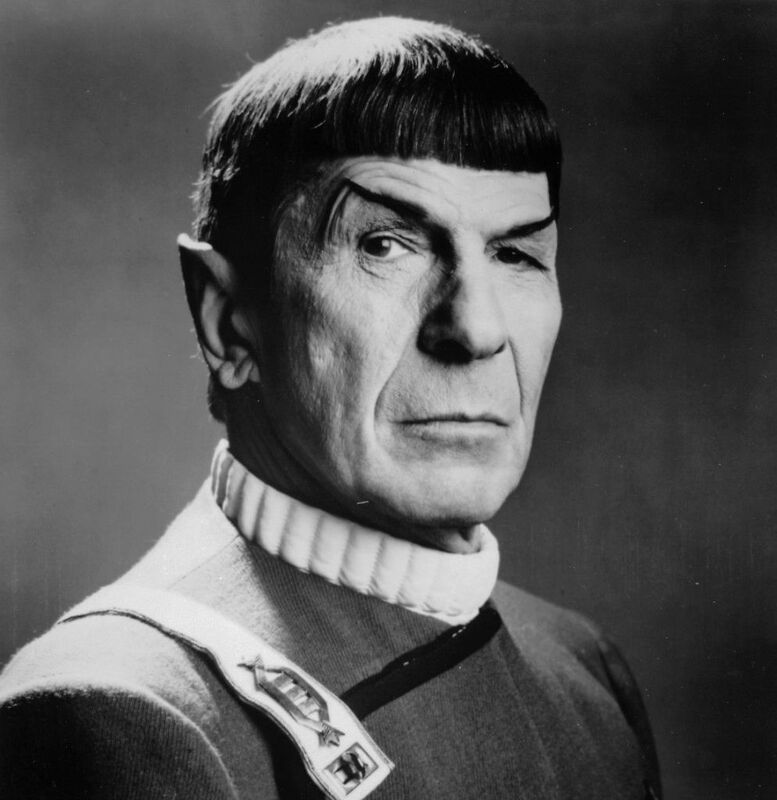 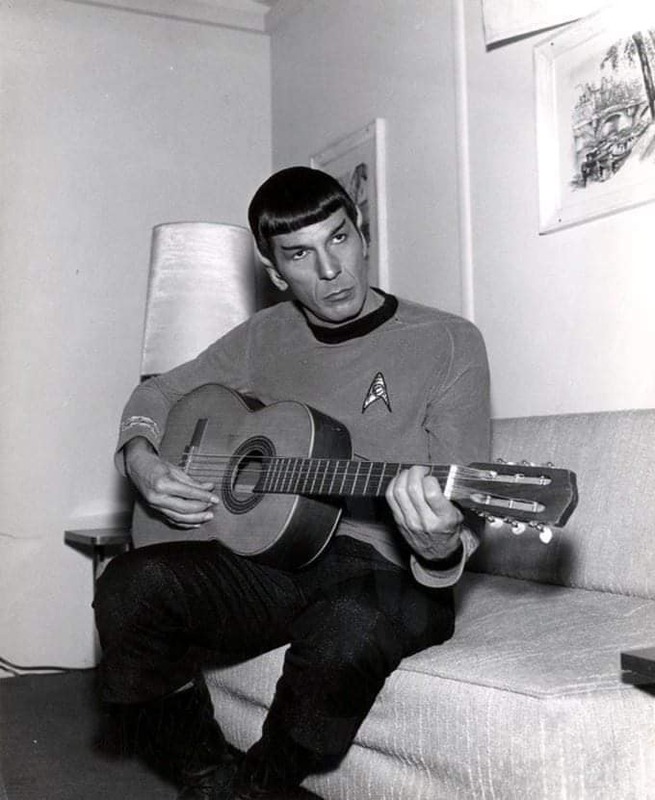 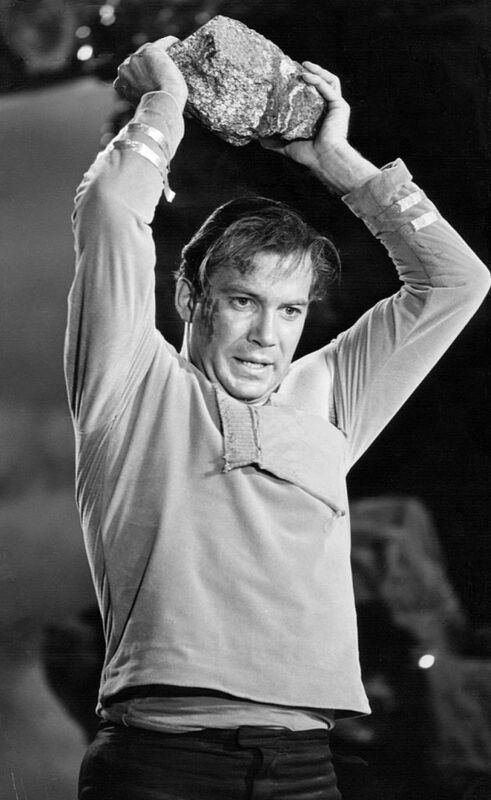 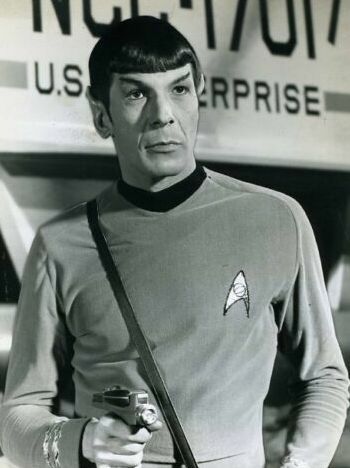 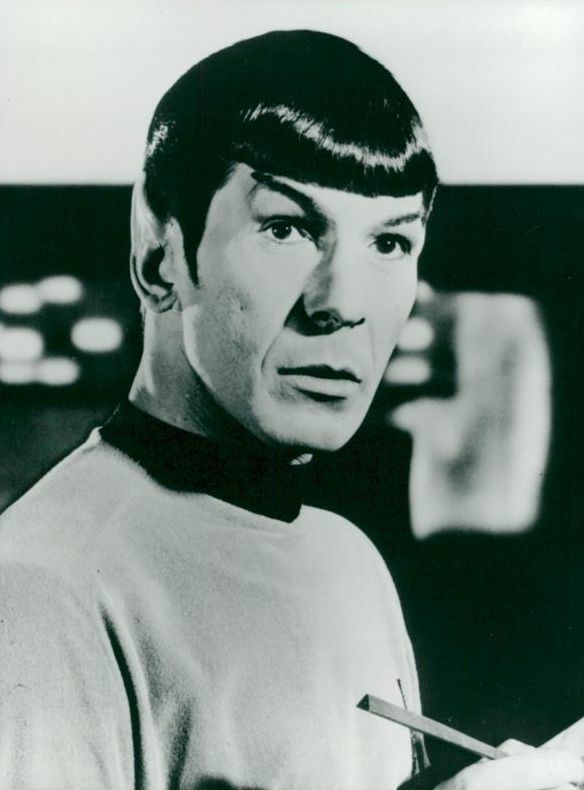 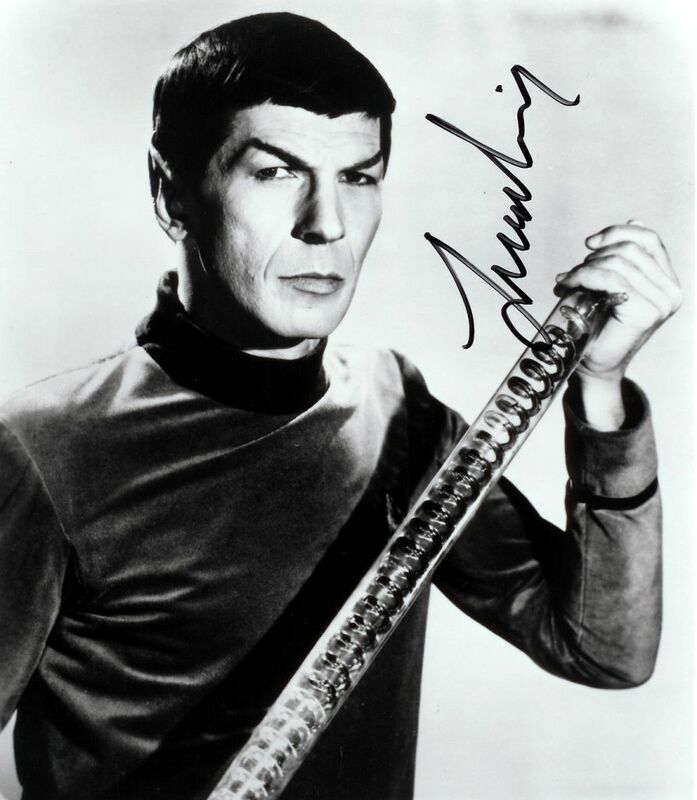 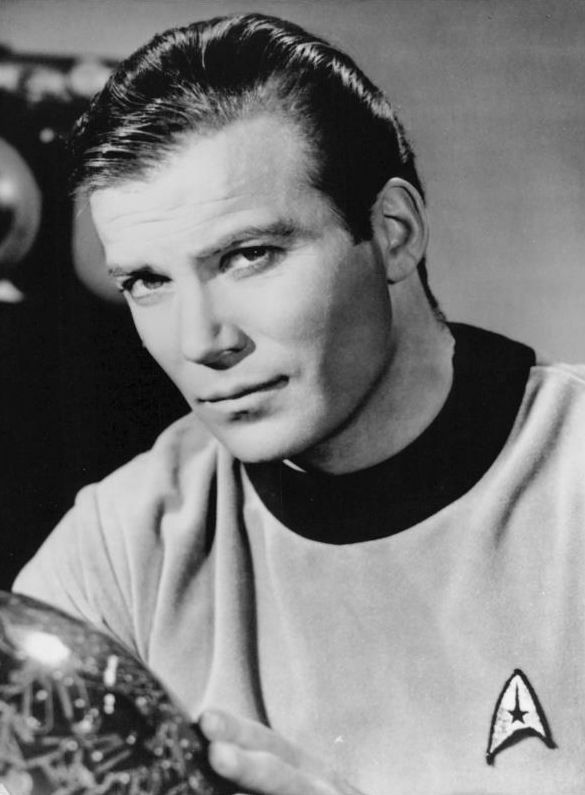 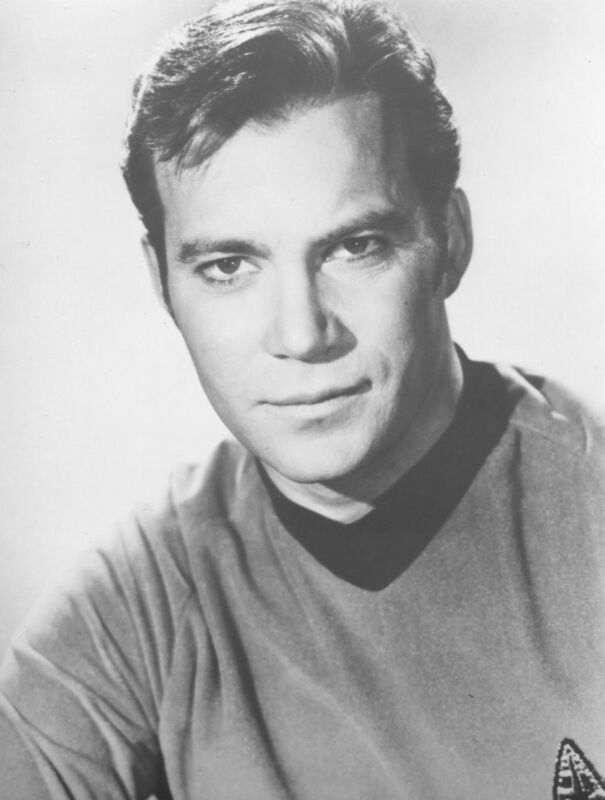 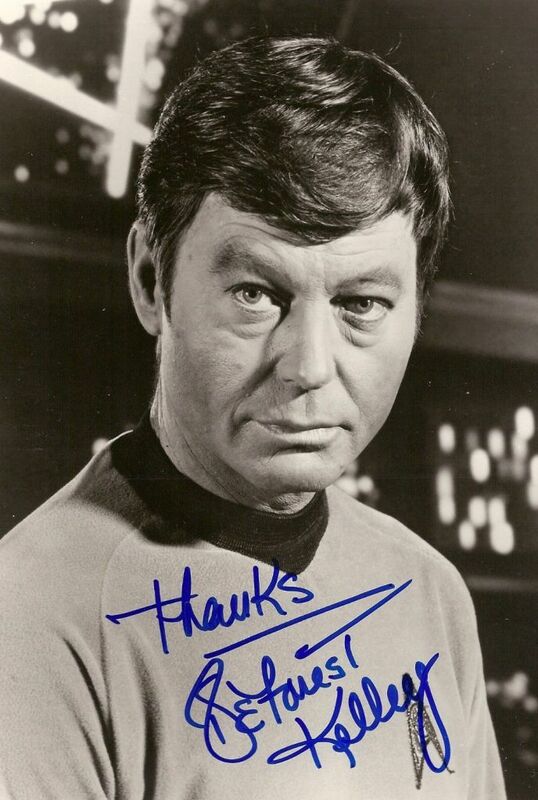 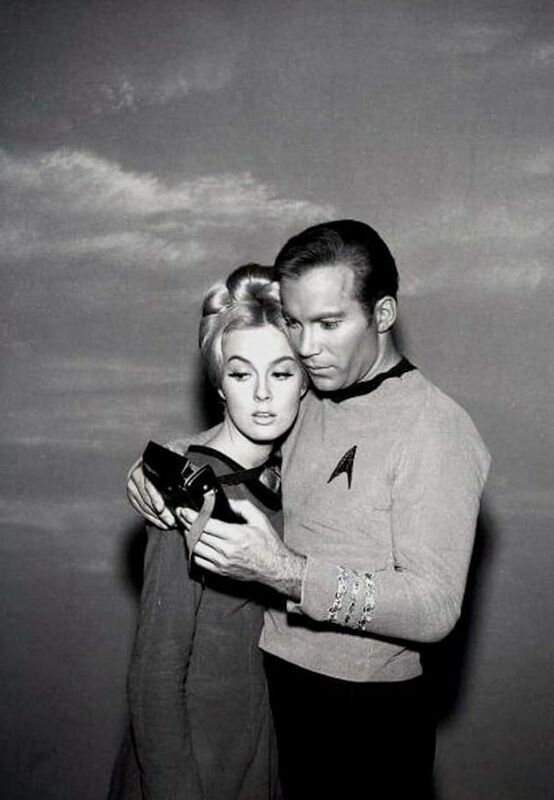 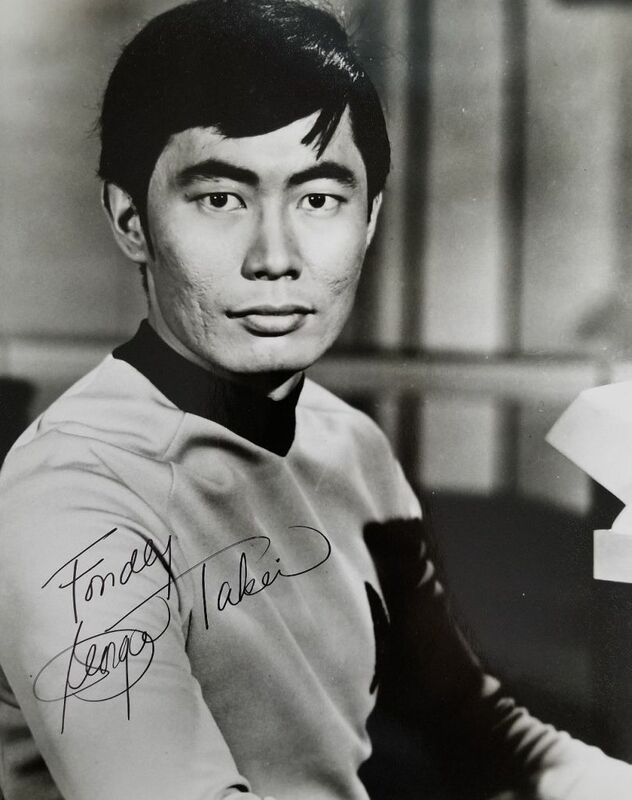 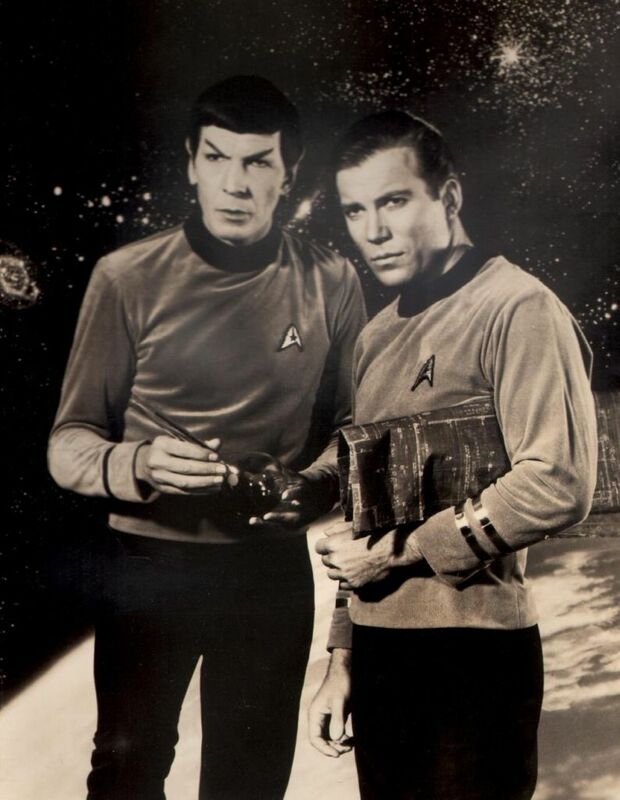 Star Trek was later informally dubbed The Original Series, or TOS, after several spin-offs aired. 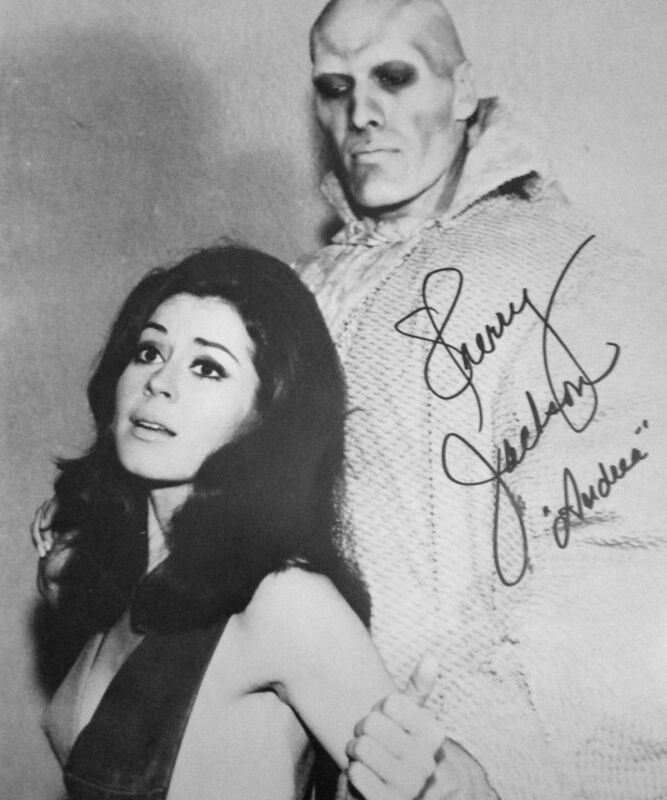 The show lasted three seasons until canceled in 1969. 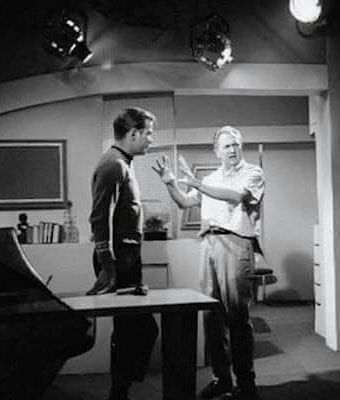 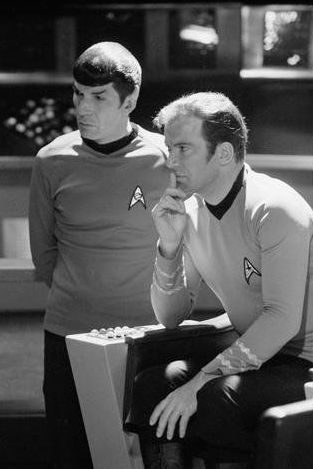 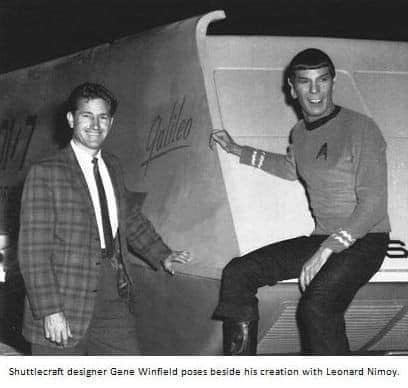 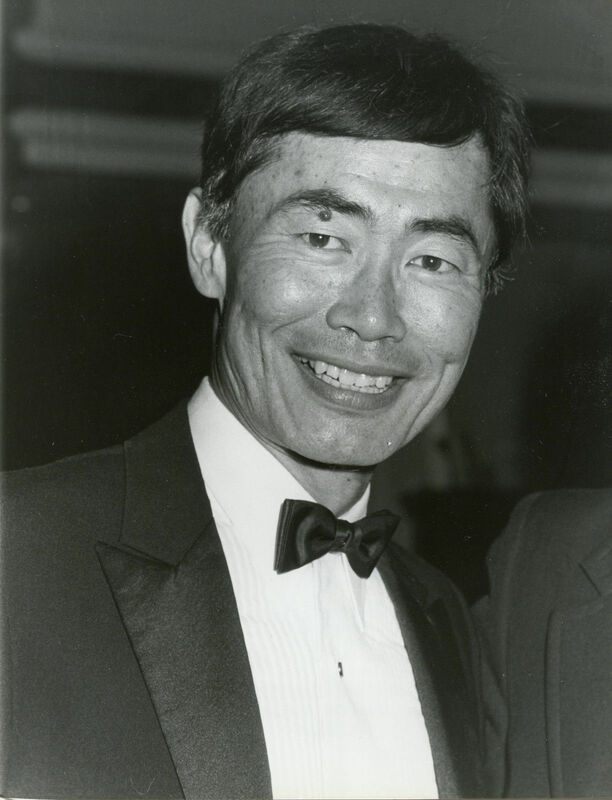 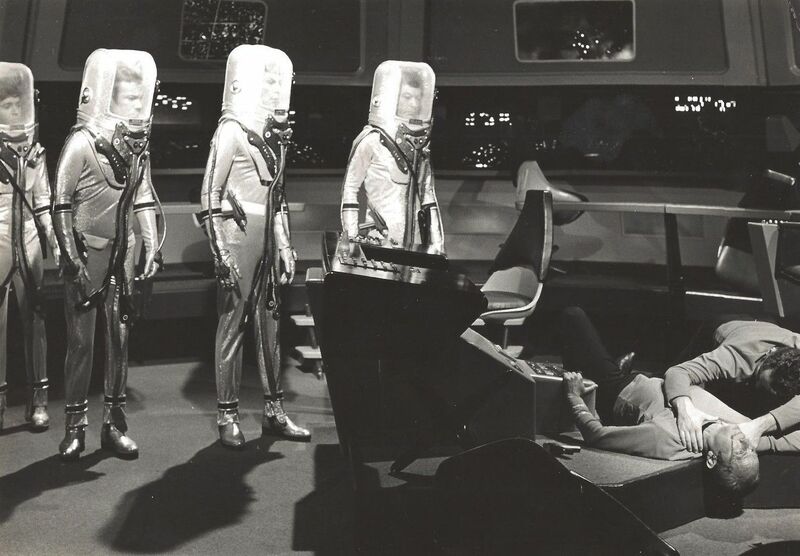 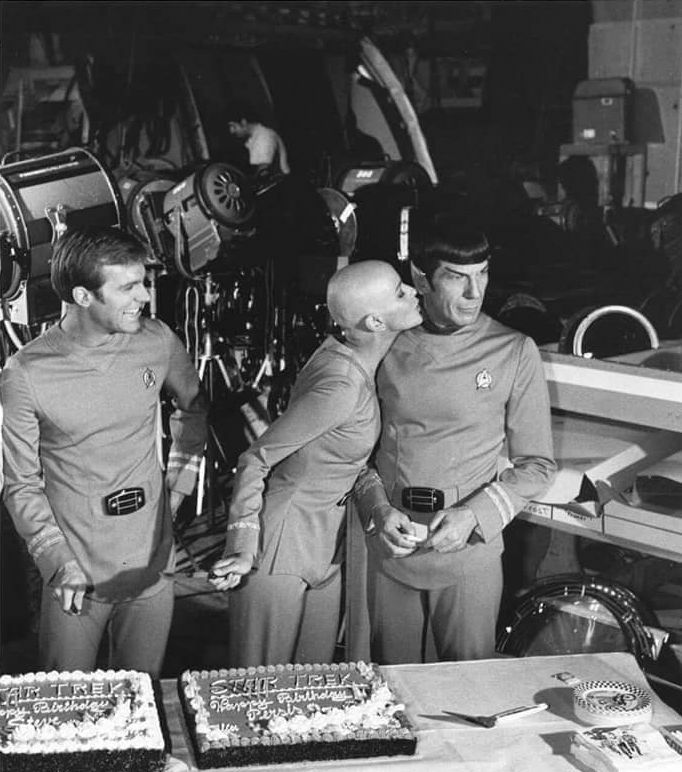 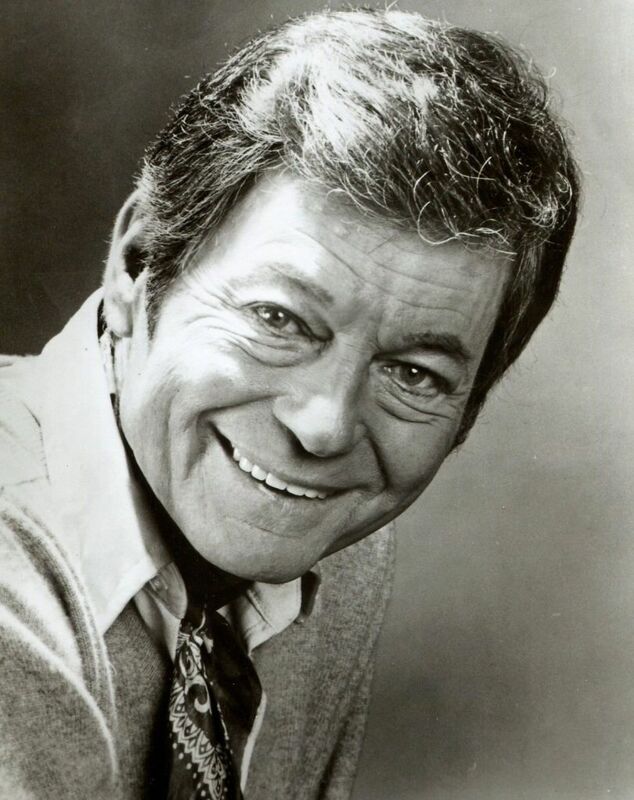 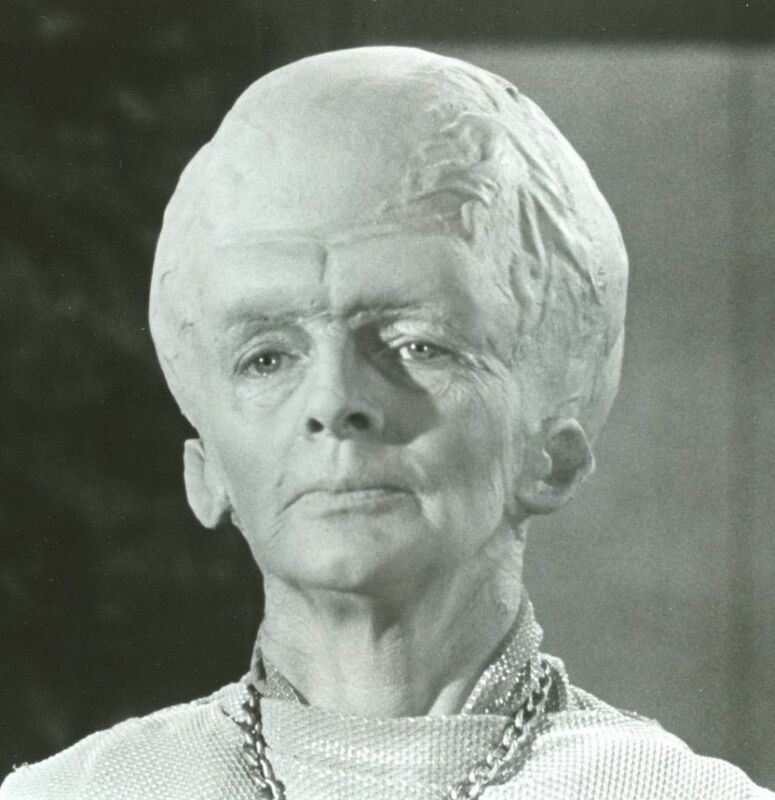 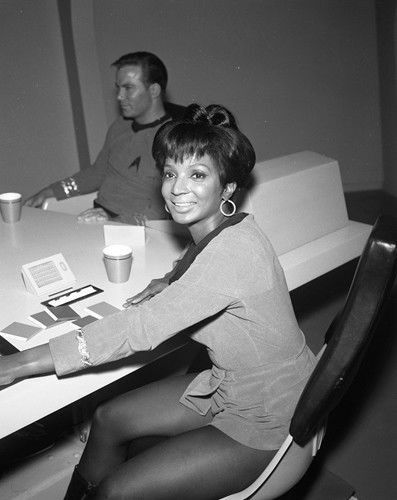 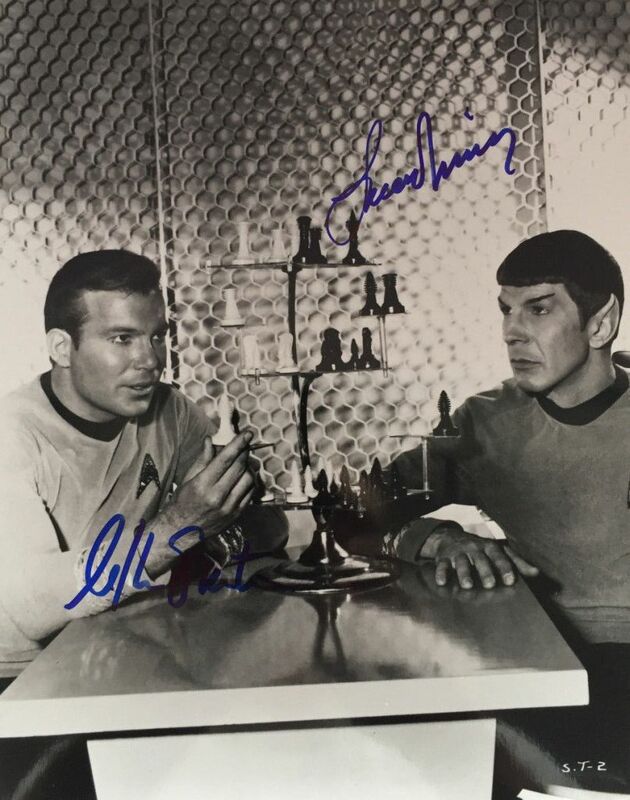 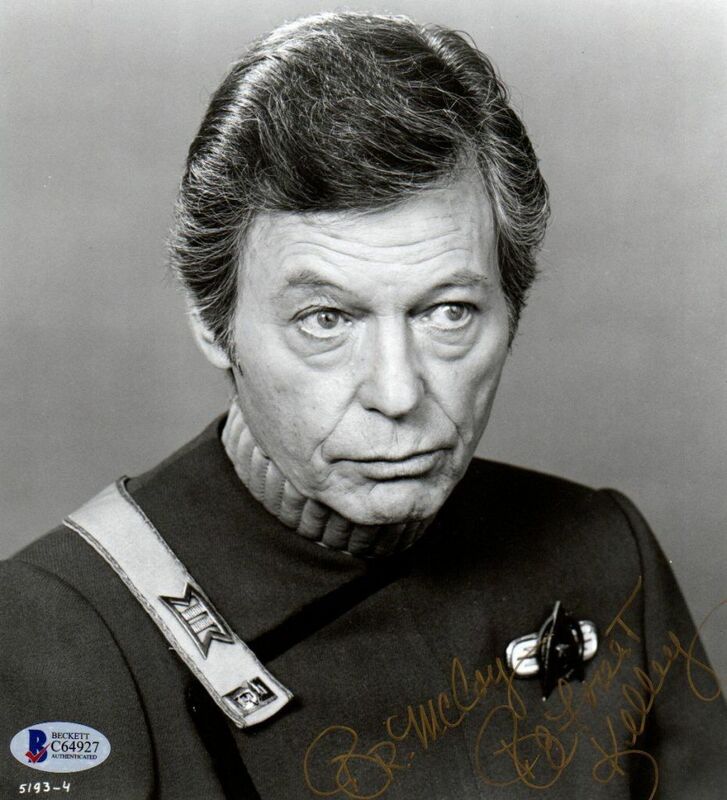 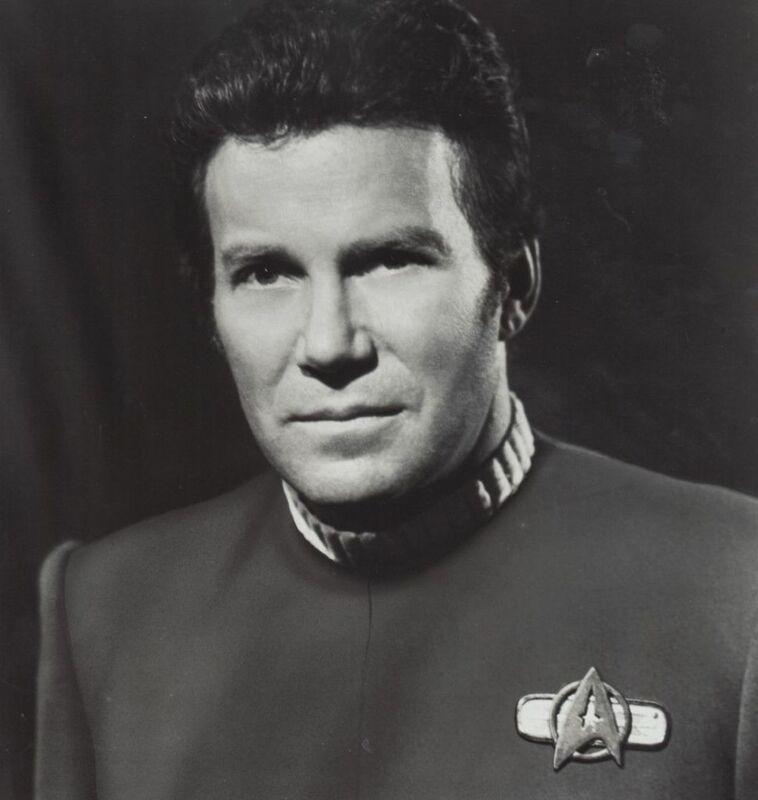 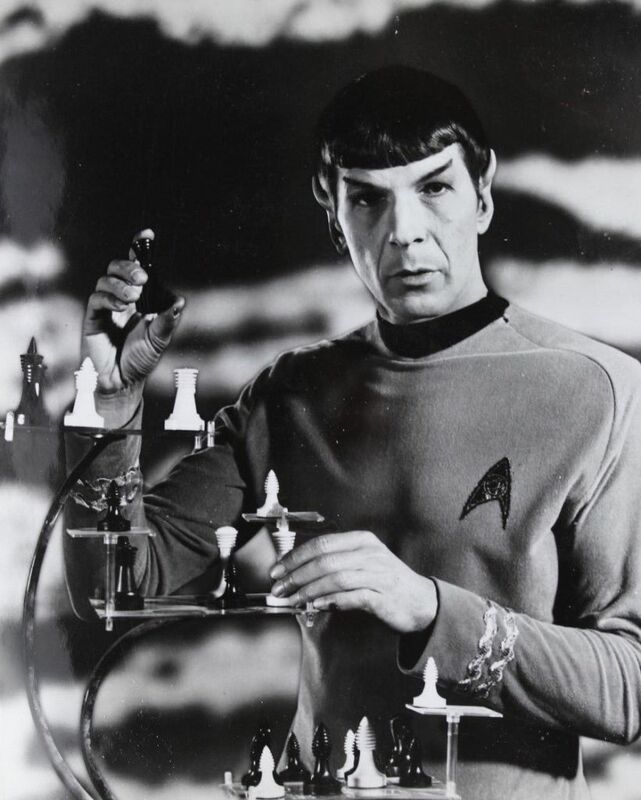 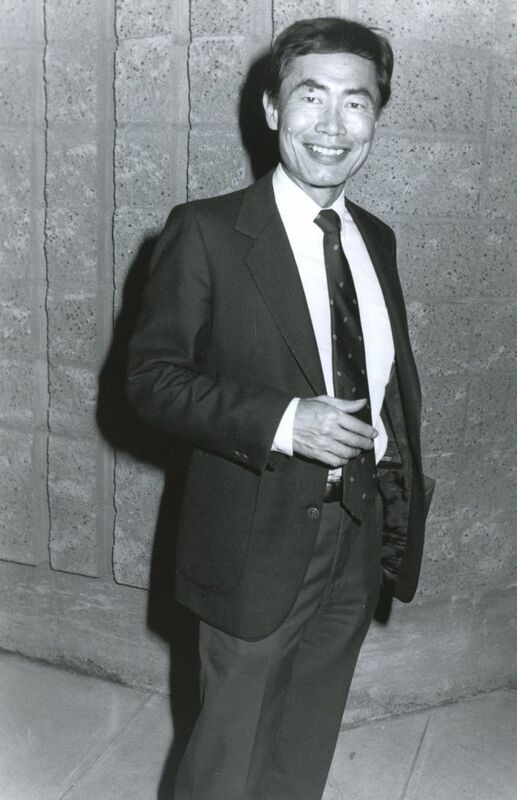 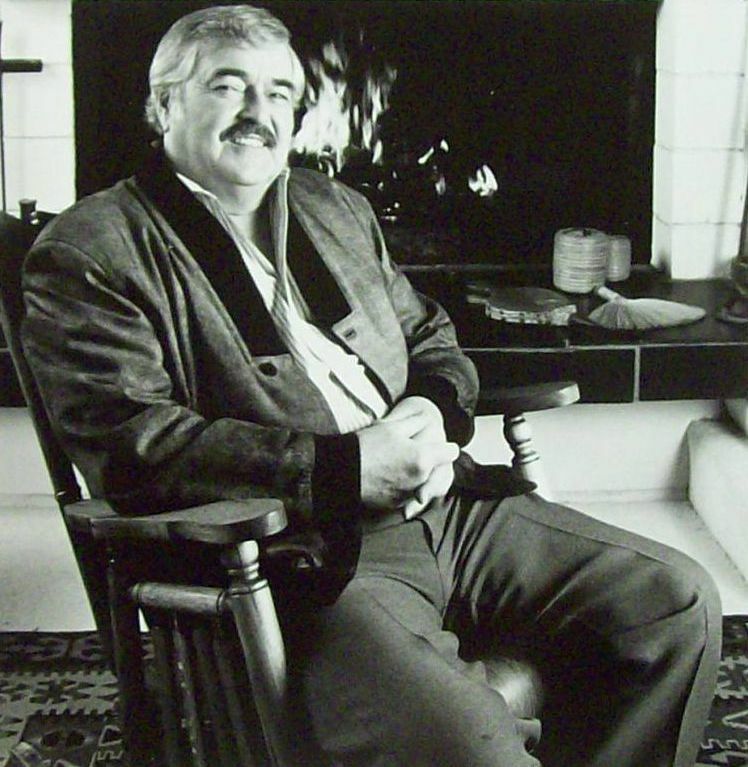 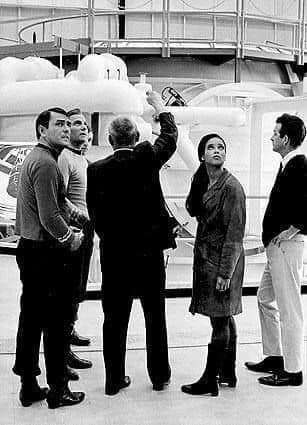 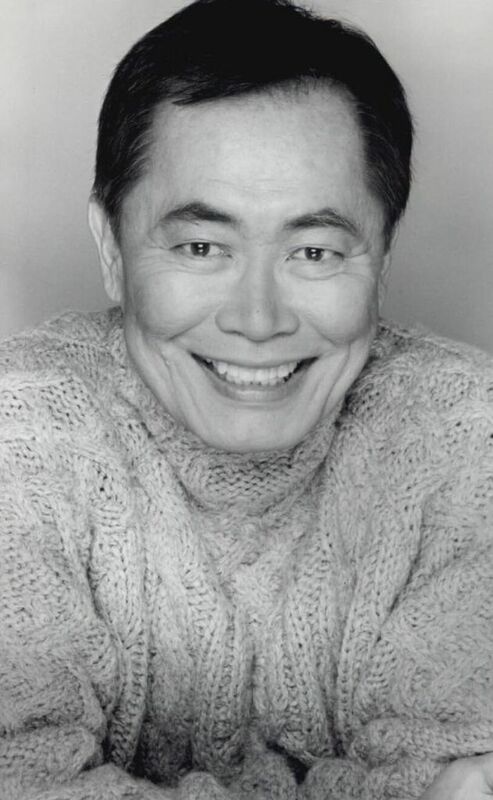 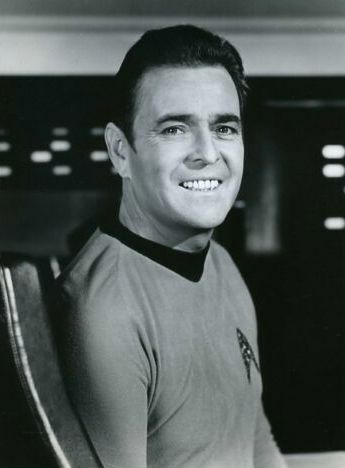 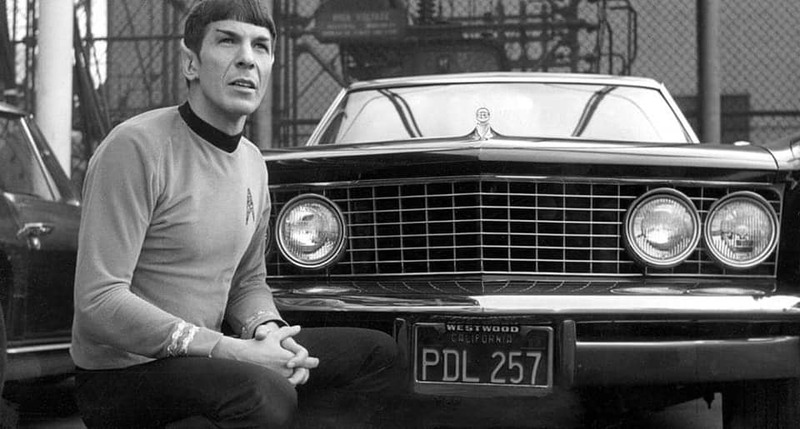 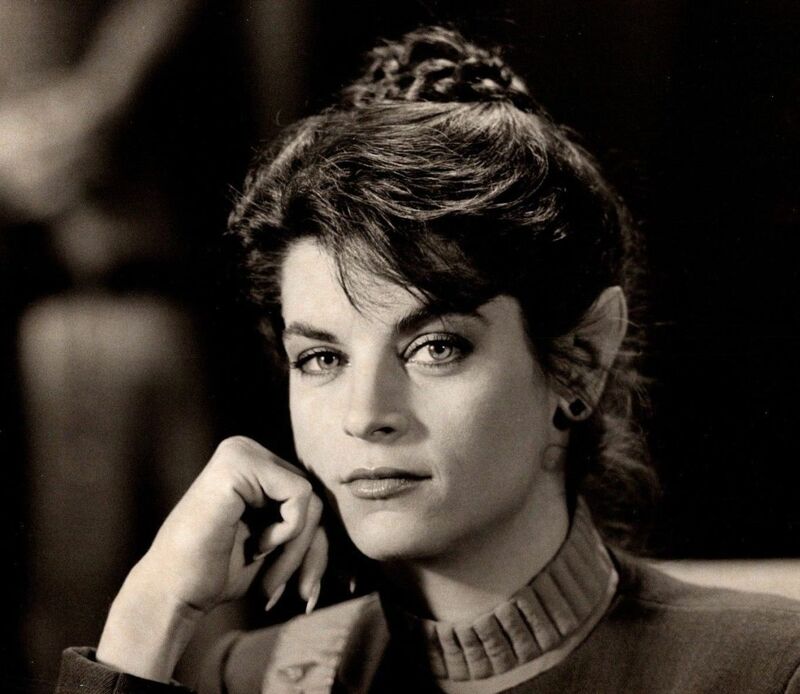 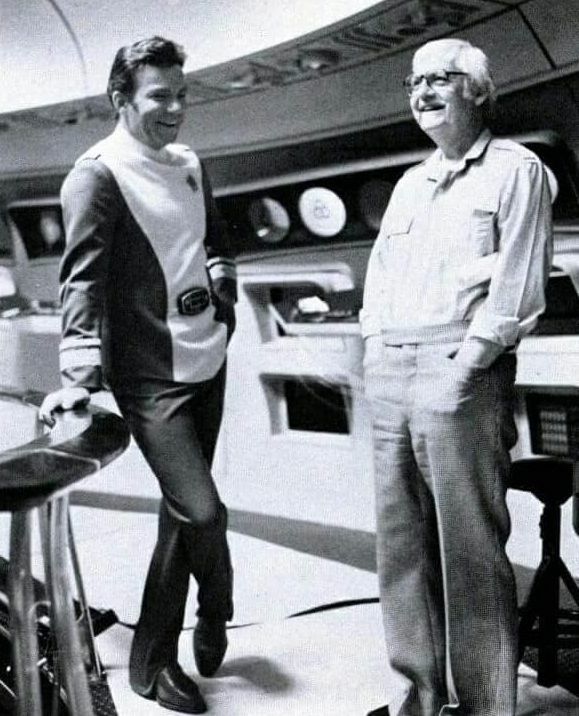 When the show first aired on TV, and until lowering budget issues in its third season resulted in a noticable drop in quality episodes and placed in a 10pm Friday night death slot by the network , Star Trek regularly performed respectably in its time slot. 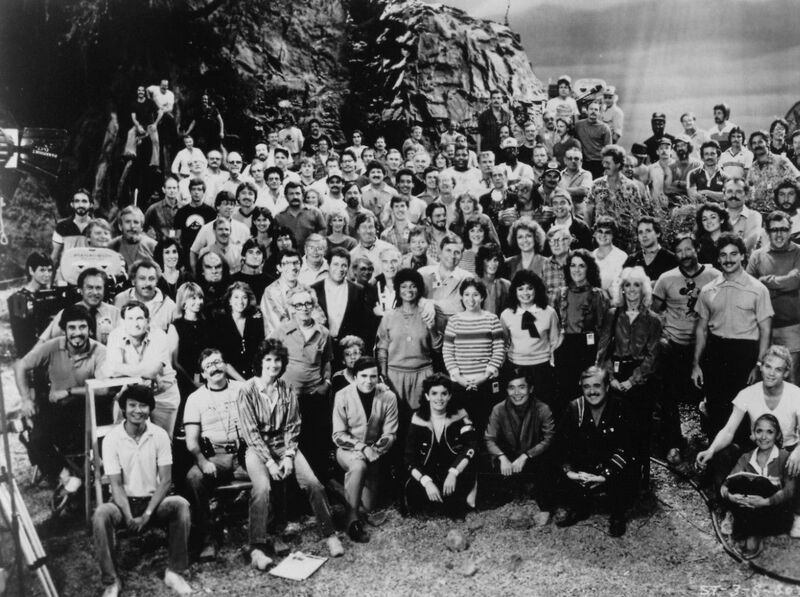 After it was canceled and went into syndication, however, its popularity exploded. 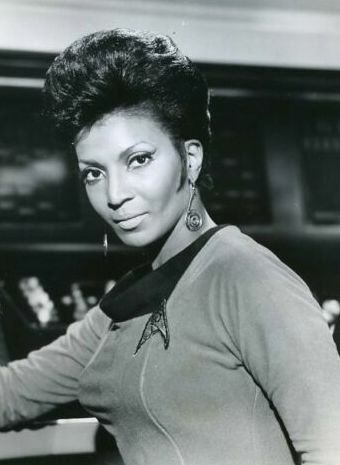 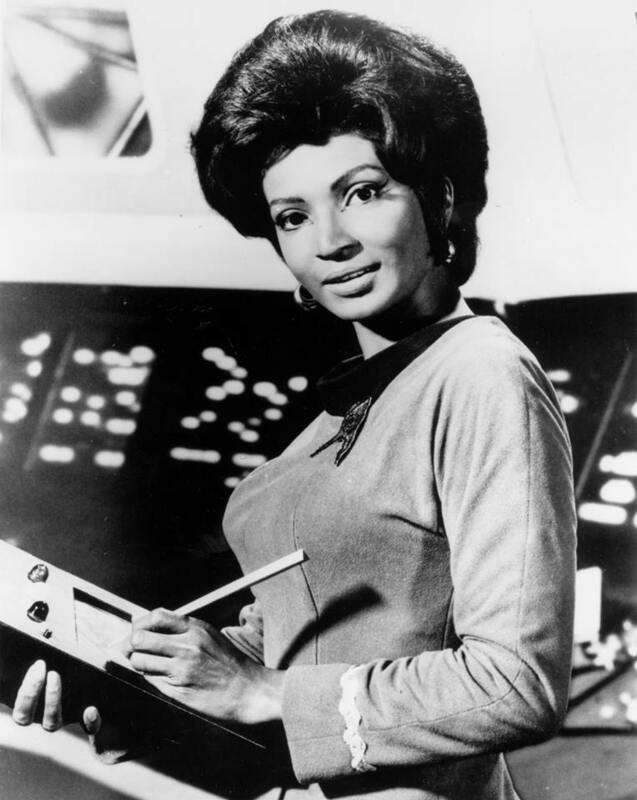 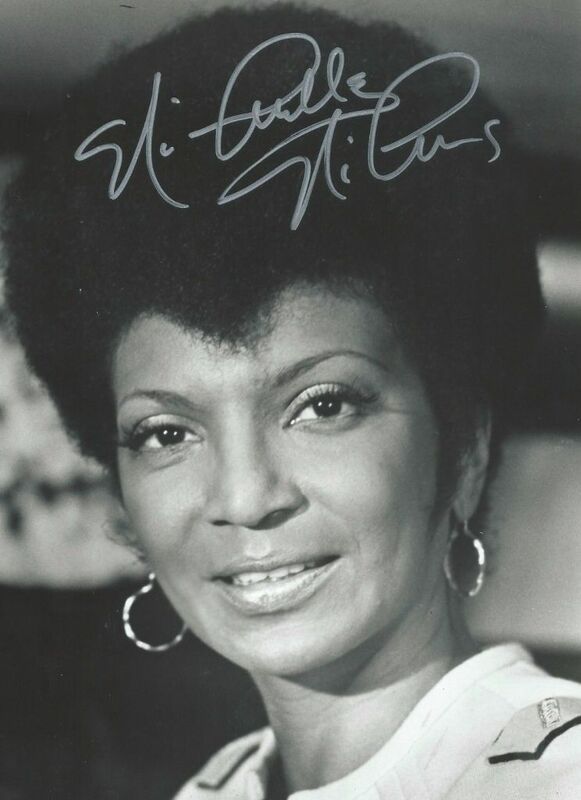 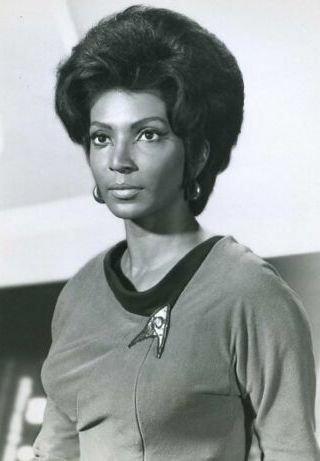 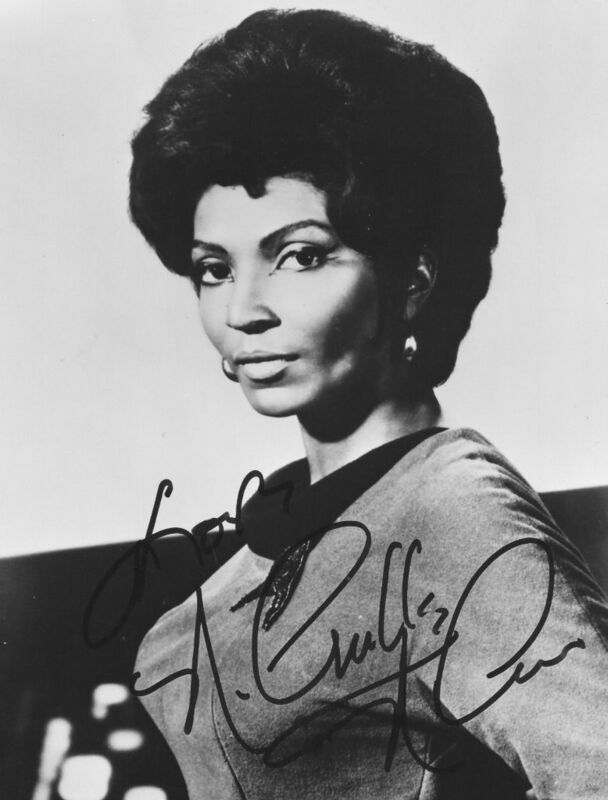 It featured themes such as a Utopian society and racial equality, and the first African-American officer in a recurring role. 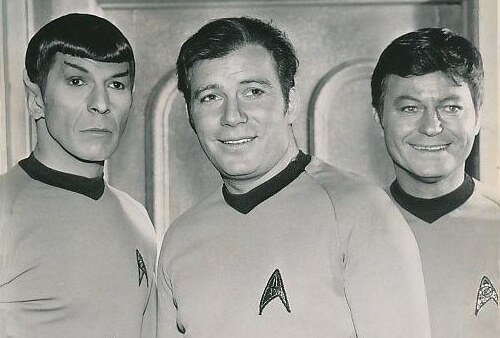 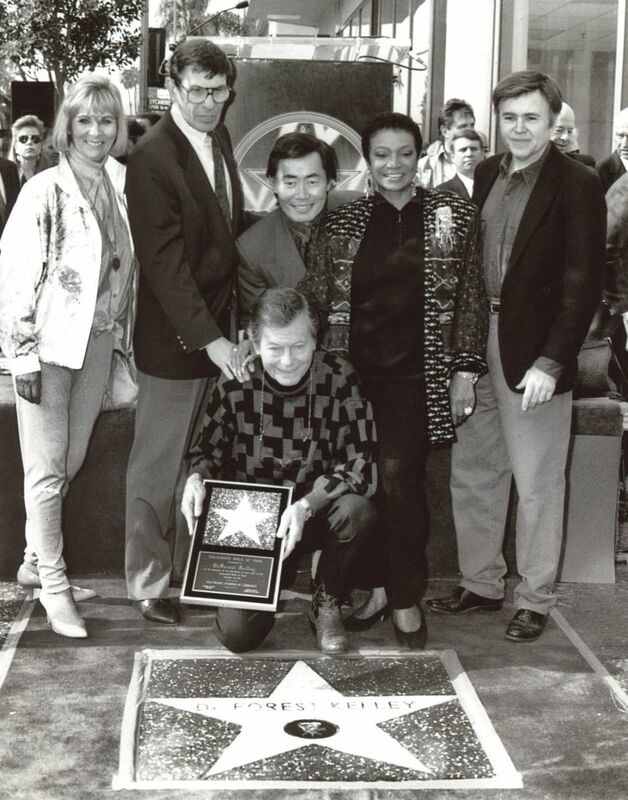 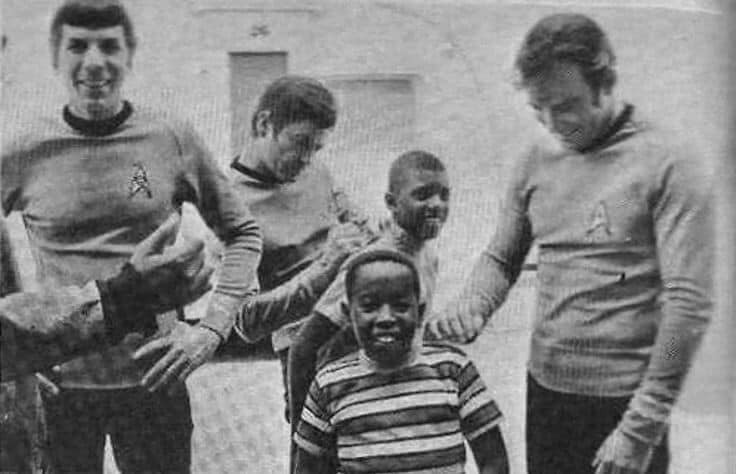 Ten years later, Star Trek: The Motion Picture reunited the cast on the big screen aboard a refurbished USS Enterprise. 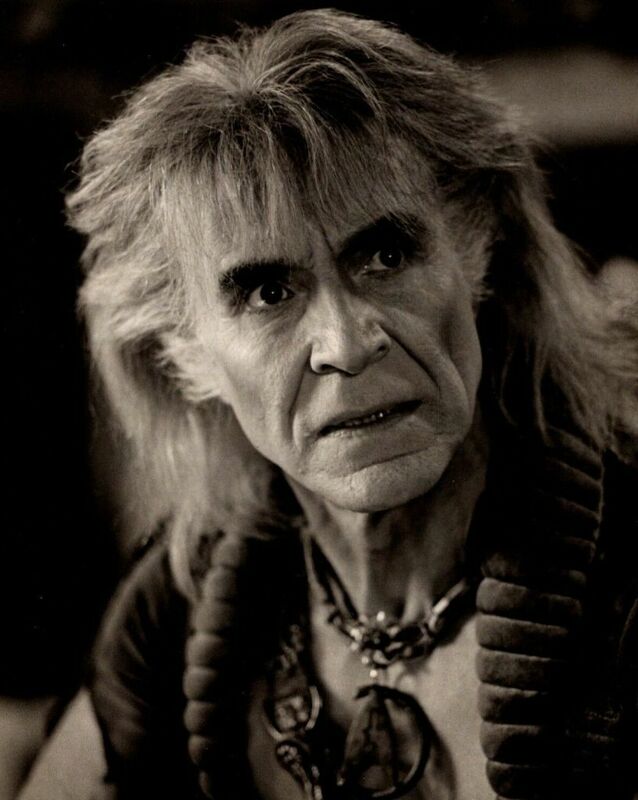 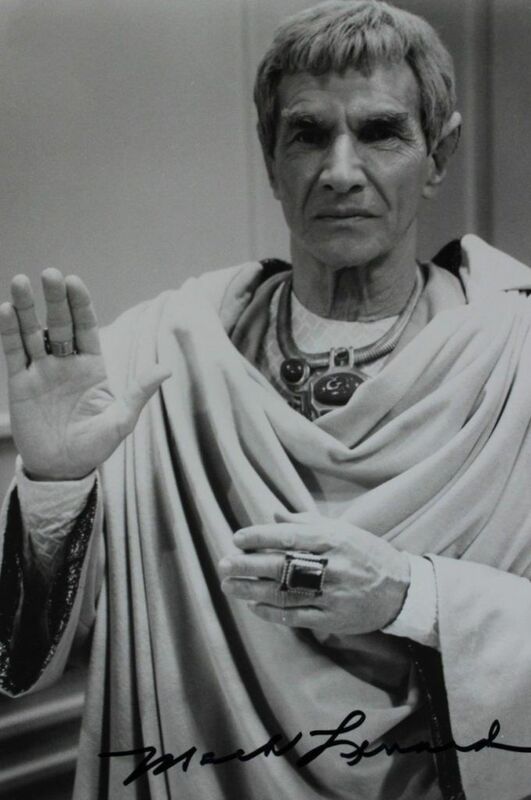 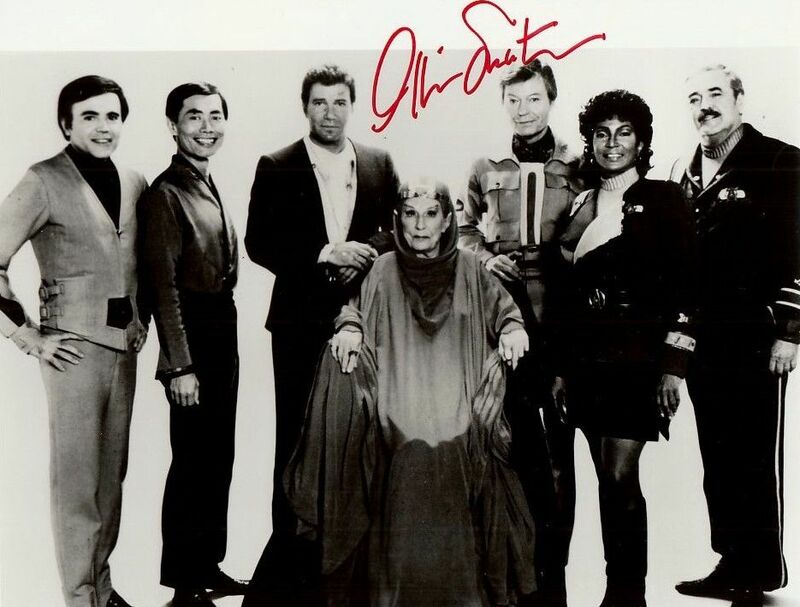 They appeared in five subsequent films, ending with Star Trek VI: The Undiscovered Country in 1991, during production of the spin-off series Star Trek: The Next Generation and shortly before Gene Roddenberry's death. 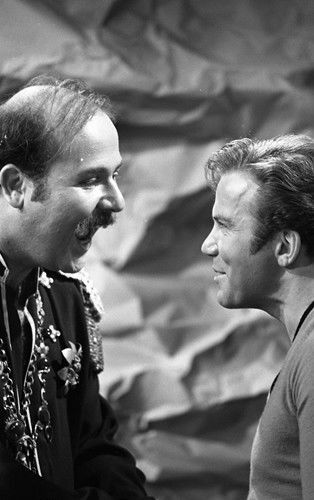 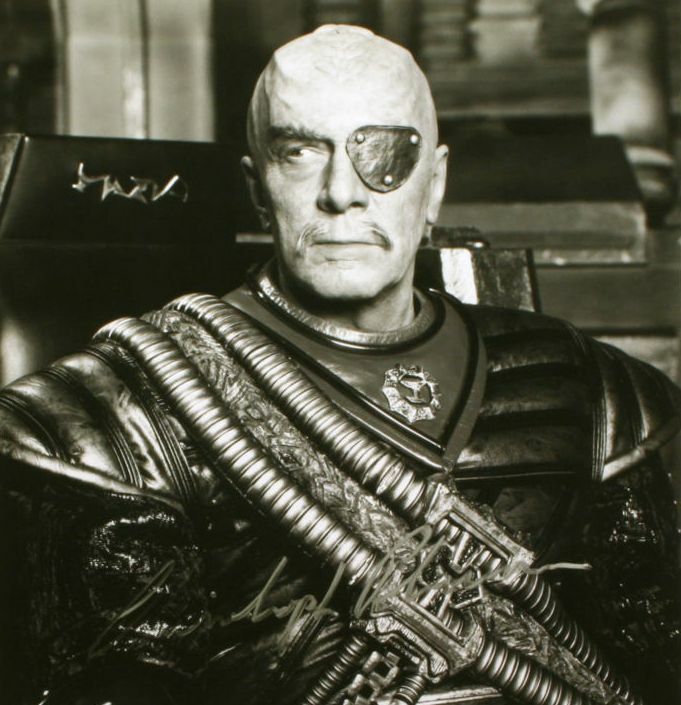 Several original series characters also appeared in the seventh movie, Star Trek Generations, and in other Star Trek productions.